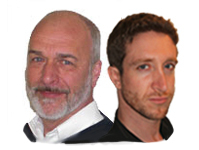 Chris & Paul – The Bournemouth Hypnotherapy Clinic. To lose weight, even with hypnosis or hypnotherapy, there is still the simple fact that you will need to eat less and healthily and burn calories, this part is not rocket science! We will help you with our unique and personaly developed hypnotherapy to access the will, the desire in a truly suppotive way ~ if you really want it and that’s the key ~ YOU and YOU ALONE must want it. We are totaly confident we can help you, although if you expect us to wave a magic wand and you’re sorted then you may well be dissapointed ~ we are great hypnotherapists not magicians. Having said that we have seen our clients, with a little help from us, make magical changes to their lives from letting go of 15 years of clinical depression in 3 sessions, letting go of addictons to alcohol and drugs in 2 and 3 sessions and so many more examples as our testimonial pages show. In fact we very rarely see clients for more than 3 sessions. click here & arrange a complimentary consultation. ”I met Chris, who was very welcoming and helped me from the beginning. He was very helpful and sympathetic. Hi Luke, I am emailing you to say how wonderfully energised I FEEL since our session on Monday, I almost feel permanently intoxicated!! All my friends can already see the differnce and it seems there are a few of my friends coming your way for sessions, one on Monday!! Maybe you comfort eat, snack? It might feel ok at the time but after…? You’ll be surprised how little it costs and how good it feels to change now and see the difference. You, your wishes and our combined imaginations are the only limit to what we can achieve. Change comfortably. Eat what you choose and lose weight. The reason most people yo-yo at weight loss is the approach they use. Willpower alone is a battle – the person you’re fighting is yourself. Dieting alone will end in failure for most people. How you eat and how it affects your body weight depends on many factors. Exercise is only one part of the solution. We can help you find the right way for you to achieve your goal and be healthy. 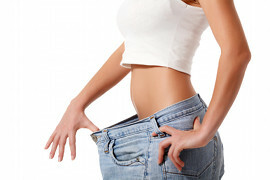 We are happy to complement your weight loss program to take into account all of these factors. Hypnosis will increase your success. By removing old programming, changing old habits and transforming negative beliefs and emotions, hypnotherapy can help you overcome the blocks to your success either in losing weight or keeping it off. We can help you increase your level of exercise and motivation. We can eliminate the battlefield! Then click here to arrange an Initial Complimentary Consultation. There’s only one real way to find out and that’s to come along for an initial consultation and meet us in person and be comfortable we’re right for you. Only you can make that decision. consultation to have all your questions answered in person, and make sure you’re comfortable with us, and find out how we can really help you. It’s important to us that, before you make your choice, you have all your questions answered in person, feel really comfortable that we are right for each other and that’s why we invite you to a initial consultation. Imagine what it would feel like to be happy again in your self and finding that YOU again. Can you picture it now?